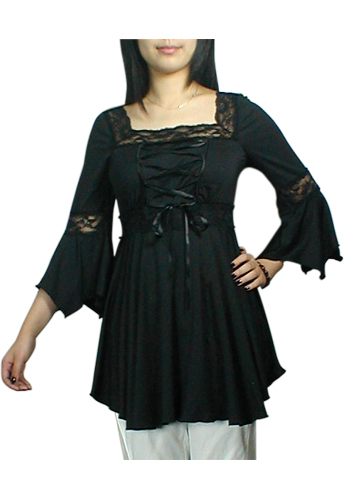 Reviews: Black Lacing-Up Corset Lace Top Blouse  - $30.99 : Mystic Crypt, the most unique, hard to find items at ghoulishly great prices! Love this blouse! Perfect fit. The material is soft and laid nicely. Beautiful! !